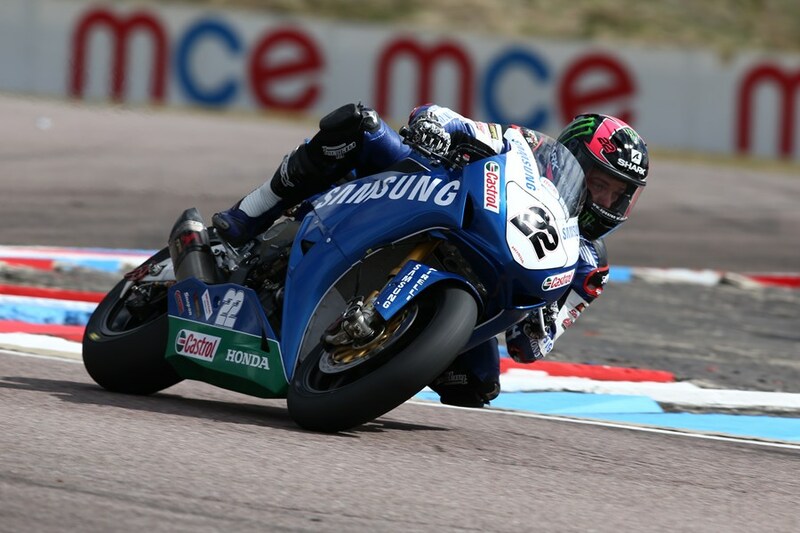 Lowes: "This was the right decision made in everyone’s interests"
Following the cancellation of the British Superbike qualifying at Thruxton due to safety reasons, Samsung Honda rider Alex Lowes will start the race from pole position after finishing combined free practice in first position. Lowes was fast in both the wet and the dry at the Hampshire circuit, so he know’s he has a good set up for any weather on race day. His time of 1.16.412 secured his pole position. The Lincolnshire rider got a pair of second positions in Brands Hatch and is trailing championship leader Shane Byrne by just one point. Next Next post: Tough Superpole for Pata Honda duo at Aragon.